Follow the daily adventures of Ruthie, a 6 year old girl and her family in One Big Happy, created by Rick Detorie. 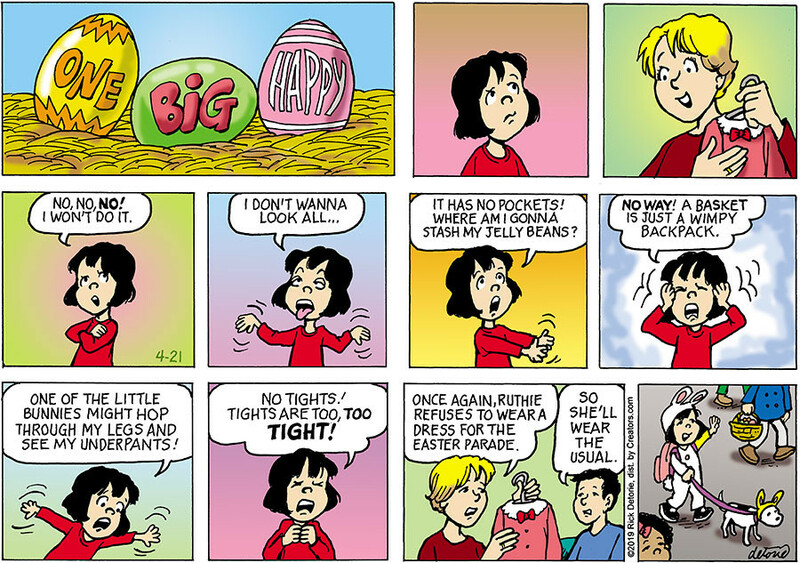 Since its start in 1988, this comic details the life of Ruthie, her brother Joe, parents Frank and Ellen, and grandparents Nick and Rose, who also happen to be their neighbors. This strip focuses on the daily lives of this "Big Happy Family" and their experiences with friends, family, and neighbors.